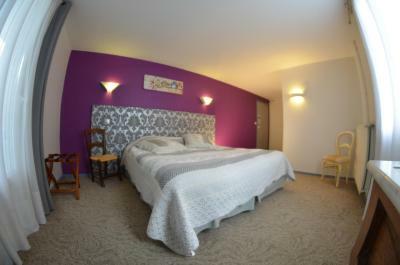 Lock in a great price for Hôtel de L'Ours – rated 8.1 by recent guests! Staff and food were awesome. Good breakfast to start the day before cycling Marie-Blanque and Aubisque. 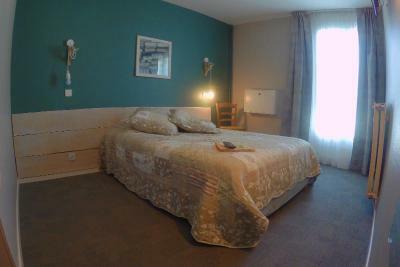 We enjoyed our stay at the Hotel de l'Ours. Our room was clean and the bed comfortable. We ate in the hotel and our evening meal was pleasant and the breakfast was good. We were on a cycling touring holiday and the hotel served us well as a overnight stopover. The owners are keen cyclists themselves and talking to some other guests who are regulars can suggest rides in the area. The cooking by the lady patron was absolutely excellent in taste, quality and value. 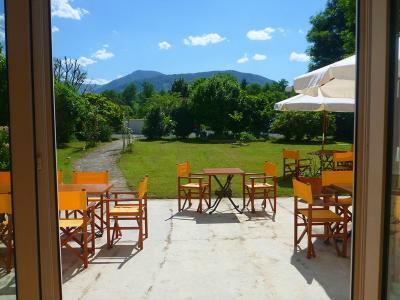 Superb for cycling as at base of Pierre St Martin and within cycling distance of col du Somport and Marie Blanc as well as others a little further away. 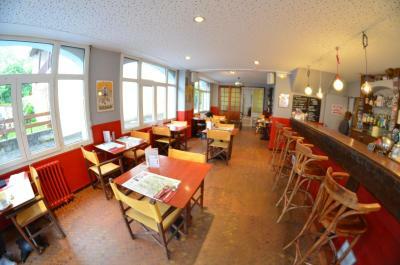 un gros merci pour l’accueil, la nourriture, et l emplacement qu’offre l hotel. excellente alternative quand on n’a pas envie de l’ambiance station toute la durée du séjour tout en étant a cote ! il y a une épicerie la porte a cote et un distributeur sur la place. la petite famille qui s occupe de l hotel le fait a la perfection avec autant de discretion que d’attentions. Les nombreux commentaires a ce sujets ne sont mensongers d’autant que nous sommes venus a la fin des deux semaines de vacances locales... chapeau ! Nous avons beaucoup aimé la gentillesse, le sourire et l'accueil de Nicolas et Anne-Cécile, la bonne cuisine de Anne-Cécile (ses desserts ! ), le petit déjeuner copieux et soigné, le calme, la propreté et la bonne qualité des chambres. Hôtel situé au centre du village, bien placé. Un parking gratuit est à votre disposition, c'est bien pratique. Vous trouverez un petit jardin très agréable avec une terrasse ombragée à l'arrière. Les chambres sont confortables. Une bonne cuisine familiale vous sera proposée, nous vous la conseillons. Located in the heart of Arette, the hotel is close to the Béarn, the Basque Country and Spain and 45 minutes from Pau, 90 minutes from Biarritz and Bayonne. 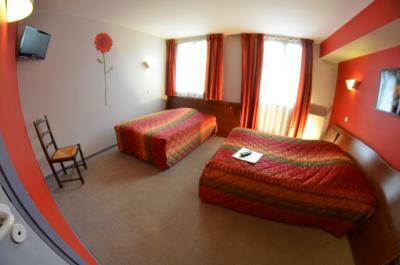 The hotel de l'Ours offers comfortable rooms with a simple and functional decoration. 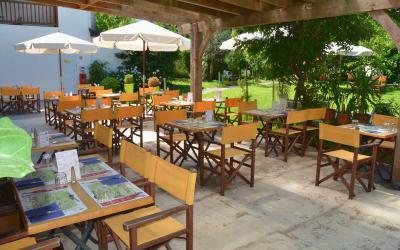 Guests can enjoy a drink in the hotel bar and a meal from the set menu in the restaurant. Breakfast is prepared every morning at Hôtel de l'Ours. In winter you can enjoy the mountains and skiing, snowshoeing, sledding. 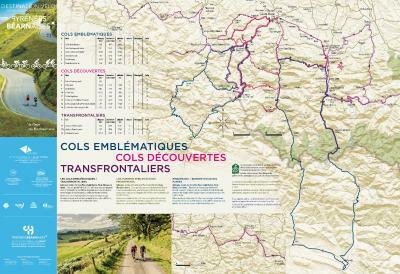 From spring to autumn, you can discover our region by bike, hiking, or relaxation. When would you like to stay at Hôtel de L'Ours? 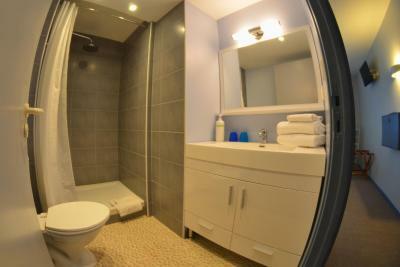 This room is equipped with a flat-screen TV and a private bathroom. 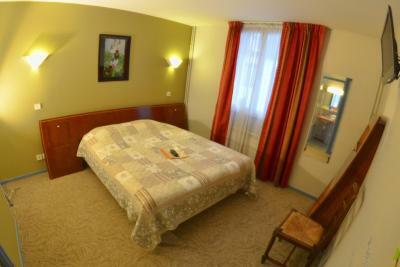 Featuring a view of the village, this room is equipped with a flat-screen TV and a private bathroom. This room room has garden views. 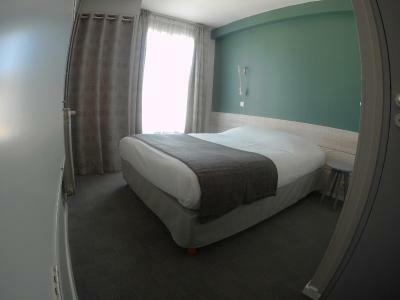 This triple room comes with 1 single bed and 1 double bed. It has views of the village or the mountains. House Rules Hôtel de L'Ours takes special requests – add in the next step! Hôtel de L&#39;Ours accepts these cards and reserves the right to temporarily hold an amount prior to arrival. Hôtel de L'Ours accepts these cards and reserves the right to temporarily hold an amount prior to arrival. Reception opening hours: 08:00 to 14:00 and 16:30 to 22:00. Guests wishing to dine at the restaurant must reserve in advance. Great breakfast and very helpful staff. Bathrooms need replacing...which are in the process of doing. No hot water in the afternoon for shower. Wasn't a great problem though.